Please come join the Latinos in Architecture Network for another happy hour. This time hosted by OMNIPLAN. 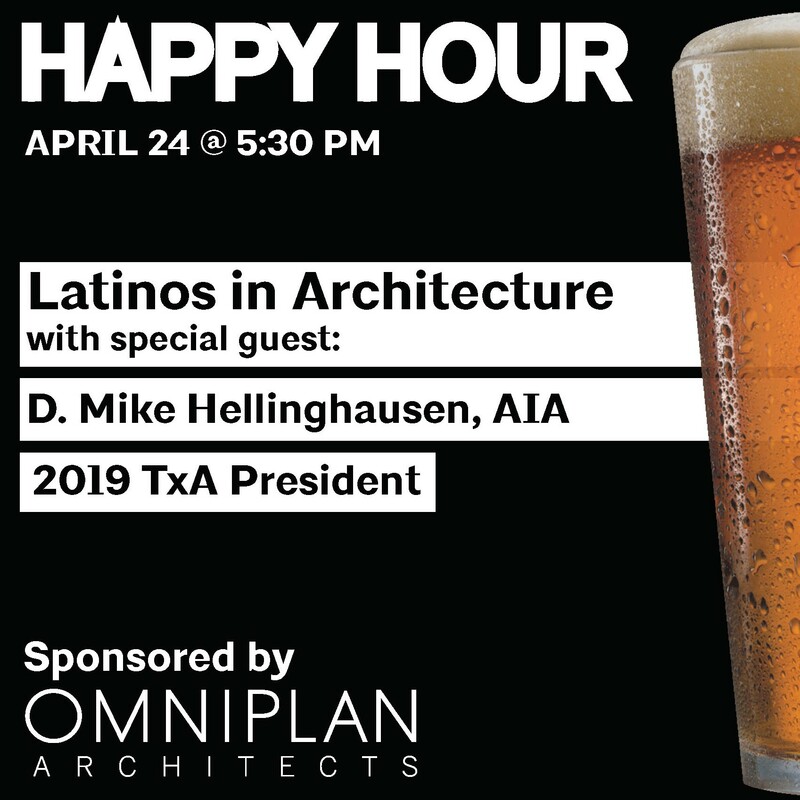 D. Michael Hellinghausen, AIA, Principal and COO of OMNIPLAN, and President of the Texas Society of Architects will be joining us to talk briefly about his goal of expanding Equity, Diversity, and Inclusion (EDI) in the profession, what he sees coming in the changing demographics of Texas, and to offer a challenge to LiA. Event is free; but registration is required.